Judge Chacha Mwita. He told political parties not to take excuse in Parliament’s failure to pass legislation on gender rule. Political parties have been ordered to come up with modalities to ensure they comply with the two-thirds gender rule during their nominations. Justice Chacha Mwita ruled that no political party should present a list of candidates for nominations for the seats of MPs, senators and MCAs that does not comply with the two-thirds gender rule, and that the electoral commission has powers to reject any party list that has more men than women. But he paradoxically gave the political parties a six-month grace period to comply with the order, saying it would be impossible to implement it at this time when parties are at an advanced stage with their nominations. “An order is issued for political parties to take measures to actualise the two-thirds gender rule during their nominations for MPs, senators and MCAs within six months failure to which the electoral commission should come up with a formula to be followed by all parties,” ruled Mwita. Justice Mwita ruled that political parties have the capacity to implement policies to ensure no one gender occupies more than two-thirds of elective positions, and should not take excuse in parliament’s failure to pass legislation on gender rule. According to the judge, it is wrong for political parties to put women at the tail-end of their nominations lists when they are the first reference point through which the country can achieve gender balance in elective positions. “They cannot tell us that they will do it in Parliament when they cannot do it within their parties. As a matter of fact, the realisation of gender balance cannot be left to legislation when there are other means to achieve it,” ruled Mwita. The judge ruled the Independent Electoral and Boundaries Commission has the powers to reject any political party list which has no gender balance, adding that it is not for the court to direct them how to do it but they must do it. He accused IEBC of being reluctant to enforce the gender rule despite being aware of the requirement, and that the commission has to know that the law is a mirror which they must use to uphold the rule of law. “They will not be doing any favour to women by rejecting party list which has no gender balance but upholding the Constitution. If they fail to reject the list, it is the commission which will be held liable for going against what the law says,” ruled Mwita. If the political parties fail to enact own mechanisms of complying with the gender rule during their nominations, Justice Chacha ordered that the IEBC should take the initiative and formulate the rules to be followed by the parties. He added the gender principle should not be degraded to a contest between men and women but viewed as a right to dignity, respect and equality between the two genders. 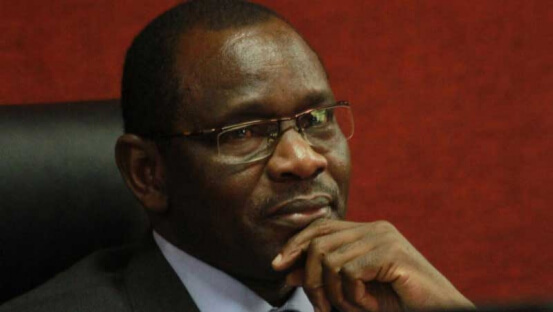 Justice Mwita said that although the law is clear that political parties and the IEBC should ensure compliance of the gender rule during nominations, it would be impossible to implement the orders at this time of the election process. “The order cannot be implemented now as it will cause confusion in the electoral process. Court orders must not be in vain, that is why I am giving them six months from the date of this judgement to pass the internal mechanisms for future nominations,” ruled the judge.